Debbie with you today sharing a Easter time creation. 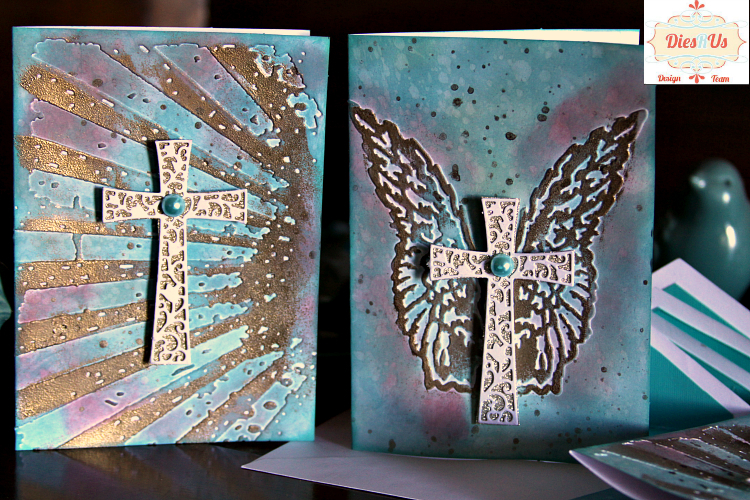 Easter is just a few days away and I wanted to share this card set with you. You still have time to get your handmade cards in the mail!! by Tutti Designs it 's called the The Floral Cross . and then I simply embossed the dry embossing with gold embossing powder. I got the colors I wanted. personal encouragement. The smile on a friend or family members face is worth it! Oh wow! This is awesome! What a great background and the gold embossing adds so much richness to it. Simply stunning! absolutely gorgeous cards! love the metallic, wonderful touch! I can't stop looking at this.....it's amazing! Such detail and the way you embossed the background, it's jaw dropping! Gorgeously fabulous ! Love your design !